masterclass at the Carlisle Grounds. The Bit O'Red made it nine games unbeaten under blistering evening sunshine to move within a single point of leaders St. Patrick's Athletic. Such was their dominance, Rovers goalkeeper Brendan Clarke was a spectator for the most part. He was first called into action in the 68th minute to easily deal with Irish U19 forward Conor Murphy's half volley on his way to a sixth successive clean sheet in the League. Striker Matthew Blinkhorn ended his two-month drought by notching a double as Bray crashed to their fourth consecutive defeat in 12 days. At times, Wanderers were left chasing shadows as Joseph N'Do and Richie Ryan controlled matters in the middle of the park. April, Blinkhorn bagged a quick fire double by the seaside. Just three minutes had elapsed when Alan Keane drilled over a cross form the right. Having watched the flight of the ball, the Englishman controlled brilliantly with his chest and lashed a stunning 14-yard left footed volley that flew past Matt Gregg. It could have been worse for the Wicklow side just four minutes later. A mistake by Derek Prendergast allowed Alan Kirby to burst in on goal, but Gregg stood up strong to block with his legs. However, the visitors did make it 2-0 by the ninth minute. N'Do and Alan Keane combined on the right flank before the former Cameroon international whipped in a ball. Blinkhorn got there at the front post ahead of Adam Mitchell to steer in his third league goal of the campaign from eight yards. The only surprise was that it took Sligo until the 83rd minute to add another goal to the tally. N'Do was again the instigator. He tormented full back Dane Massey along the left touch-line before scooping the ball into the six-yard area were Eoin Doyle register his 13th league goal with a looping header. Bray finally mustered a clear-cut opportunity in the 86th minute, but but Dean Zambra couldn't find a way past Clarke who saved well with his legs. •Todays show was broadcast from Roundwood Parish Hall. •Following Amy Quinn’s silver medal win at the special olympics we spoke to her mum Frankie from Athens and also Claire Brady from Bray Lakers who works with Amy. •Jane o’ Brien, Principal of Roundwood National School, FG Deputy Andrew Doyle and FF Cllr Pat Casey spoke to us about the topics of the day. •Nessa Childers - Labour MEP and Joe Timmins – Member of Roundwood Historical Society and Member of Editoral Team of Roundwood Historical Journal joined us to talk about the history of Roundwood. •Lisa Montgomery, Duty Warden, Lough Dan National Scout Centre joined us in Roundwood to talk about their recent International visit. •Sean Nolan, An Toughar GAA Club joined us to talk about the club. •We had live music from Singer Valerie Armstrong and Roundwood Comhlas Ceoltoiri. •FG TD Billy Timmins, USI President Gary Redmond and NYCI Assistant Director James Doorley gave their reaction to the intern programme launched by the Government yesterday. •We discussed the last day of school with St Laurences, Greystones Principal, Catherine Coveny. •Mintel Research Manager, David Pasley talked to us about consumers not having any money left over after the bills are paid. 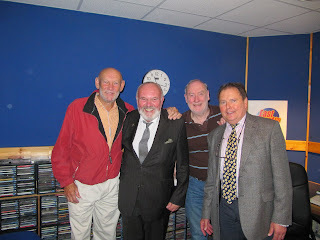 •Senator David Norris, Saxophone player Paddy Cole joined us to tell us about this Sunday’s Irish Vintage and Classic Car show in Terenure with organiser Jim Mc Guirk. •Perfect Theatre, Dance Teacher Lina Power todl us the benefits of dance to keep children fit, healthy and occupied. 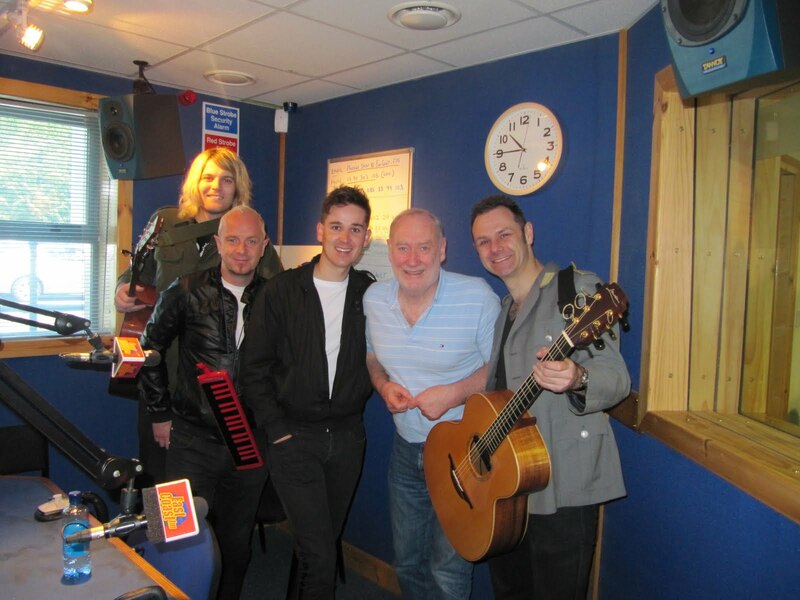 •Royseven joined us in studio for a live performance ahead of their gig at the Bray Summerfest. •Donal O’ Sullivan, Mc Cann Financial Consultants ltd joined us to give advice about income protection – why you need it, when you can use it and how to get it. •Political Correpsondent, Padraig Gallagher gave us an update on Michael Healy Rae phone calls from the Dail. YODA, THE WORLD'S UGLIEST DOG! Mark Quigley stole the show with a first half hat-trick as Dundalk rose to fifth in the Airtricity League Premier Division. The Lilywhite's moved ahead of both Bray and Bohemians after a resounding victory at the Carlisle Grounds over ten-man Wanderers. The visitors started brightly as Daniel Kearns' sixth minute corner wasn't properly dealt with by the hosts and Quigley's dipping effort from the edge of the box flew narrowly wide. Having put six past Galway last Friday at Oriel Park, the Louth outfit handed the Green and White's their heaviest defeat of the season as they conceded a penalty and also had a player sent off. However, four minutes later the striker hit the target with a superb solo effort for his sixth league goal of 2011. Quigley collected Keith Ward's cross-field pass in his own half and embarked on weaving run. And as the Bray defence stood off, the former Bohs and St. Pat's man guided a placed shot with his left foot from outside the box past the despairing Matt Gregg. Falling behind at least forced the Wicklow side in action. John Mulroy steered a header wide from Joe Kendrick's free kick, while Irish U19 front man Conor Murphy sliced wide when well place 20-yards out. And that impetus produced a 26th minute equaliser. John Mulroy tried to pick out the run of Dane Massey. But the winger was tracked all the way by Simon Madden. But Chris Shield robbed the defender on the right side of the area and dinked a cross to the back stick were the unmarked Danny O'Connor powered in a stunning diving header. Any joy though was short-lived as the Louth club were back in front and the Seasiders down to ten men. Quigley showed good feet to evade Derek Prendergast inside the box and cut back inside only to have his heels clipped by the covering Kendrick in the 29th minute. Referee Anthony Buttimer produced a red card for the former Drogheda man while Quigley sent Gregg the wrong way from the resulting spot-kick. Bray responded yet again with Mulroy having a back post cross-shot cleared out for a corner. Prendergast chested wide from Gary Dempsey's resulting delivery though. It got worst for Pat Devlin's men as Quigley completed his treble two minutes before the interval. Daniel Kearns held off Massey and burst along the edge of the box. The ball ran kindly to the forward whose low effort somehow squirmed through Gregg's grasp and bobbled over the line. However, playing against one of his former clubs, Gregg made a good save just before the hour to deny Mark Griffin who had been played in by Ward. Bray should have reduced their deficit moments later as Shields glanced a free header wide from eight yards from Dempsey's quickly taken free kick. However, Quigley turn provider in the 68th minute as fellow forward Mark Griffin registered his fourth score in his last three games. Quigley lofted the ball over the top and his strike partner burst clear to cooly slot low beyond Gregg. •Wicklow Hotel owner and Councillor Pat Casey and Wicklow Chamber President Denis Fielding discussed the problem local businesses are facing because of rates. •Local transplant recipients Tony Gartland and Seamus Eager talked to us about their success and medal wins at the World Transplant Games.